The GEMM project delivers an assessment of labour market inequalities of migrants and minorities in Europe. We especially focus on highly skilled migrants to Europe, who do not always find jobs in which their skills are used most effectively. By understanding the drivers of these inequalities and determining how institutional factors account for differences between countries, we provide recommendations of great practical and policy relevance. 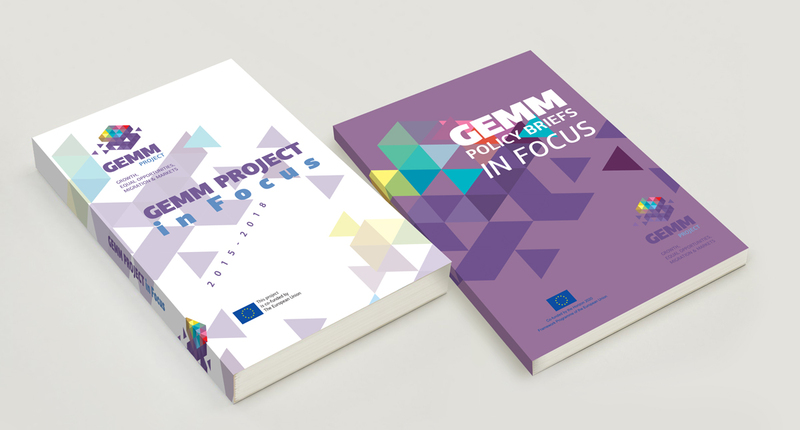 The GEMM project strives to produce research that is highly usable for policy makers. In order to do so, we implemented an innovative methodological framework that considers different determinants of inequality as a barrier to the smooth functioning of local labour markets. EU13 migrants and economic migrants with and without a job have greater probability of employment compared to EU15 migrants while non-economic migrants do worse. 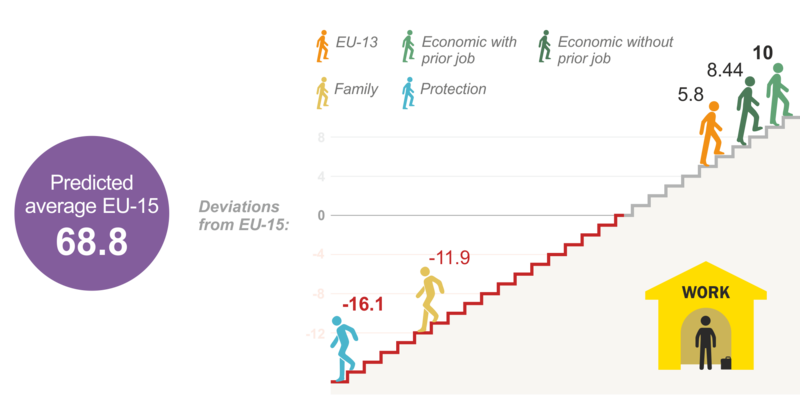 The figure shows the estimated difference in the probability of employment rather than non-employment from EU-15 migrants aged 16-64, from LFS AHM 2008 and 2014, controlling for individual and contextual factors. 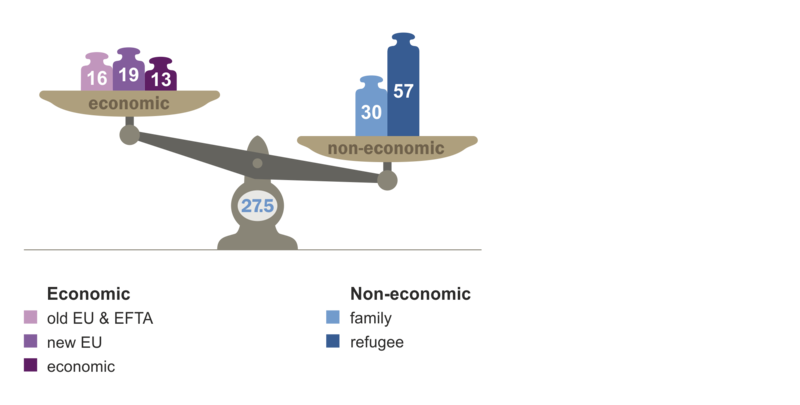 While family and refugee migrants are indeed less likely to be economically integrated in European societies, their labour market chances increase substantially with further investments in the host country such as language proficiency. We find that good language skills help all migrants in finding work, but these skills are particularly important in keeping non-economic migrants from lapsing into non-employment. Having attended a language course positively affects the employment probability of refugee migrants which highlights the importance of the integration efforts of the receiving society.